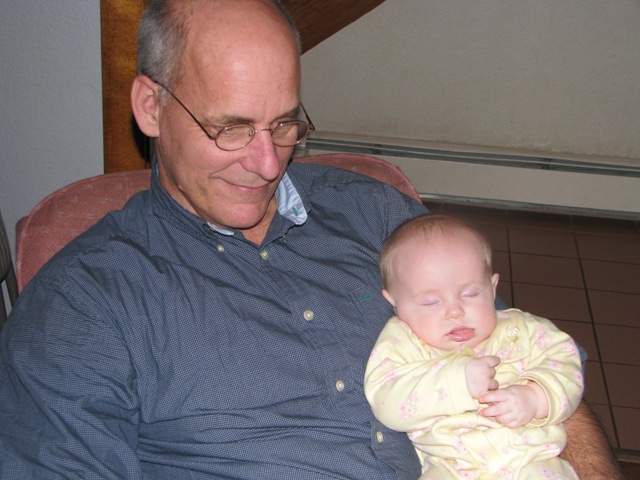 Here’s a photo I really like of Rick holding our granddaughter, Carly, who is almost six months old. He enjoys holding her. He told our daughter Laura, Carly’s momma, ‘This baby’s really cuddly; she’s like a big fat blob.’ That’s a masculine way to praise a baby, you know; not mushy. Here’s another photo of Rick with Carly. Guess she’s not too interested in the Westminster Shorter Catechism yet. 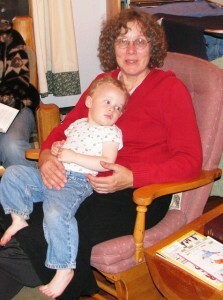 Here’s a photo of grandson Diederick sitting on my lap. 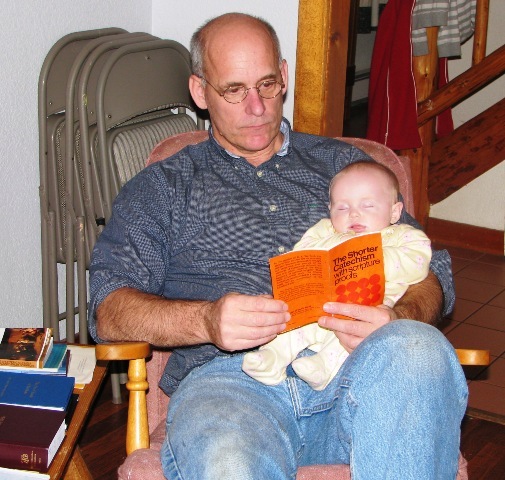 My lap is his ‘seat’ during family worship time, when the little guy is learning to sit quietly (except when we’re singing! He does enjoy singing.). This is not his favorite experience, though he is doing better and better. The other morning he excitedly said, ‘Auntie!’ to one of the girls, but when I said, ‘Good Morning!’ to him he turned to go the opposite direction and said, ‘NO WAY!’ Sigh! This book is one of the excellent Orca Currents Series of high interest/easy readability for reluctant middle school/high school readers. This book’s reading level is 3.6, yet it is so well-written that the reader doesn’t feel at all patronized. Prejudice against immigrants and internet bullying are the subject matter covered in this story. I really enjoyed this book, and would love to read an expanded version of the story.